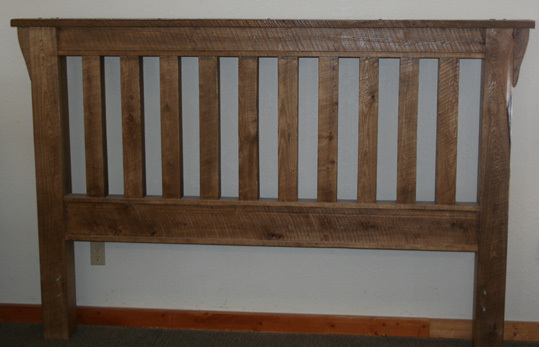 This bed is made from rough cut timber and is finished with clear furniture finish. Staining on these beds is also available, and they can be stained to any available color by providing us with the code number from all major paint stores and box stores. Please contact us with your color preference for both paint or stain.